Mallorca would not be the island we all love were it not for the annual almond blossom season. 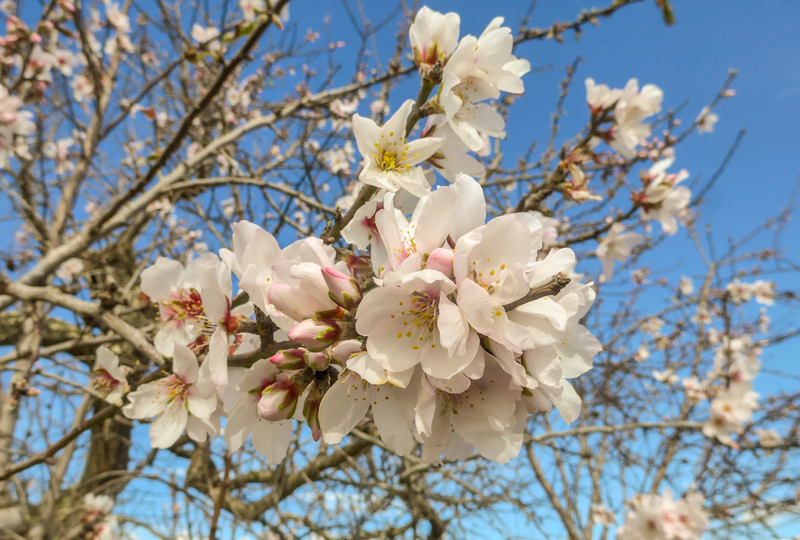 January is the month when the trees can first be spotted with a splatter of white or pink blossoms, even the occasional first one just before or just after Christmas; in a couple of weeks’ time, in February, there should be plenty of almond trees in full bloom. As it happens, blossoming seems to happen a little later than usual this year which pageses (farmers) count as a positive sign for a good harvest. If flowering had started early and a cold spell would set in, if only for a few days, the flower might get damaged and no fruit will be able to grow. Mallorca suffered from a severe invasion of the phylloxera insect (Daktulosphaira vitifoliae) at the end of the 19th century, causing the extinction of virtually all vineyards all over the island. Until then, wine was the mainstay of agriculture in Mallorca. 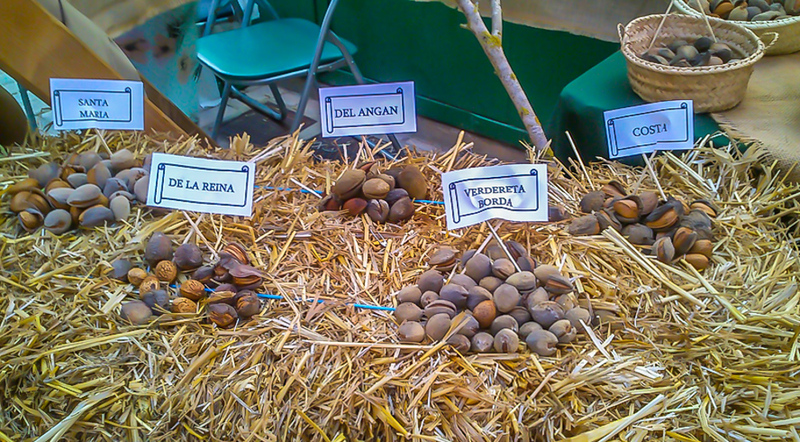 Farmers swiftly replaced their vines with young almond trees and Mallorca subsequently became an important producer of almonds. 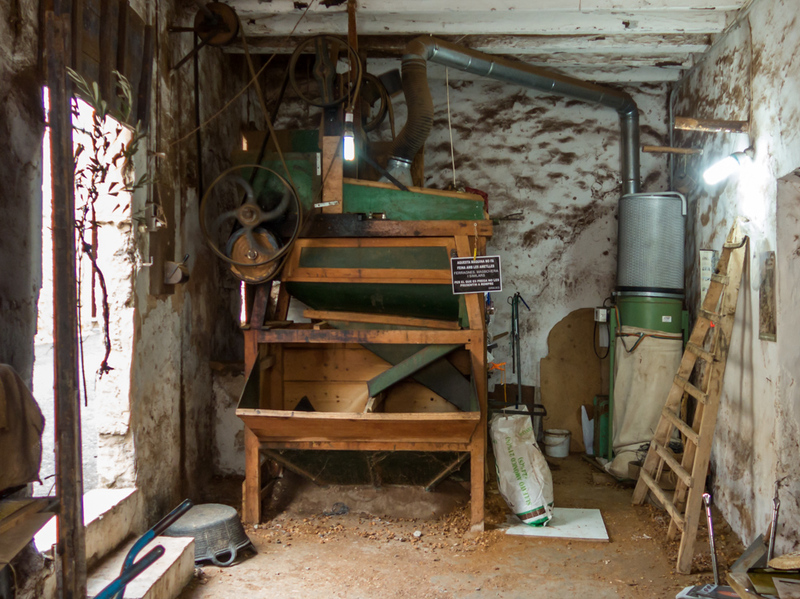 But with tourism turning into the prime source of income, the annual almond harvest did not generate enough cash to warrant the labour involved. Today, you will see many almond trees on the island still carrying last year’s crop. A great shame really. The almond (Prunus dulcis) is mostly eaten raw, or toasted, or even in its green and unripe state; it is mainly used in pastries, cakes and sweets, such as the Spanish turrón, the Mallorcan gató, the Middle Eastern baklava, French nougat, or marzipan and ice cream. There is also almond butter and there is almond milk which reputedly was a staple of mediaeval cuisine because cow’s milk then could not be kept for long without spoiling. Almonds also give us an oil (Oleum amygdalae) which can be used for culinary purposes or beauty products and is often a substitute for olive oil. 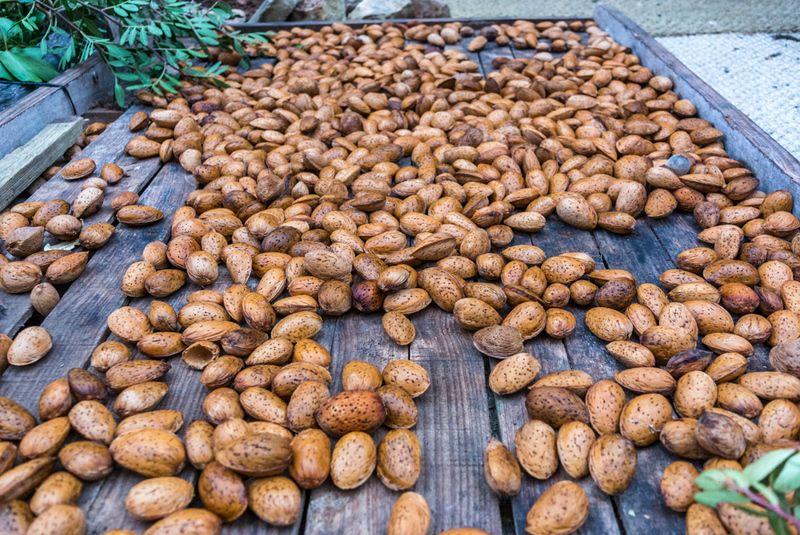 Almonds belong to the same group of plants as the plum, the cherry, the peach and the rose. The kernels of the bitter almond (Amygdalus communis) are a good source of amygdaline, a chemical compound. According to both, Oriental Medicine and alternative medicine, these kernels are anti-carcinogenic. In Chinese pharmacology, the pits are classified as a drug rather than food as they contain cyanide (hydro-cyanic acid). They are used medicinally and are said to combat cancer, stimulate respiration, improve digestion, help reduce blood pressure and arthritic pain and give a sense of well-being. Don’t take my word for it; I am a blogger, not a doctor. If you have any health problems of the kind mentioned above, please consult your doctor. 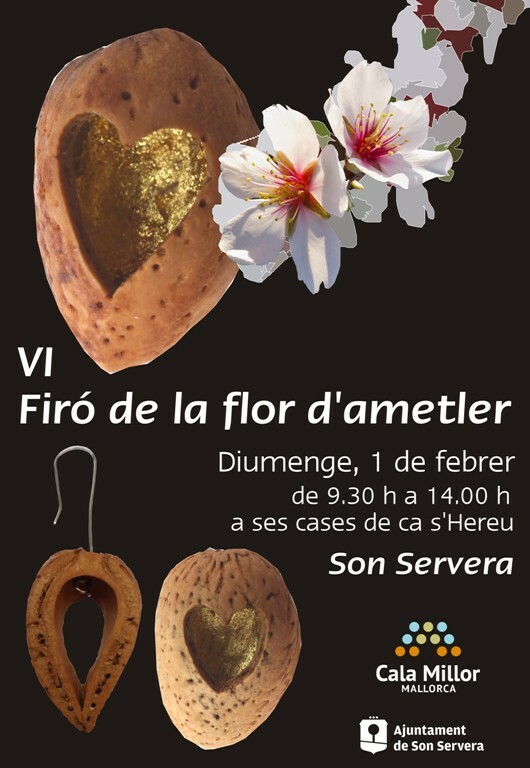 Every year, the town of Son Servera holds the charming Firó de la Flor d’Ametler at the beginning of February. This year’s event will happen next Sunday, February 1st, at the Cases de Ca s’Hereu, between 09h30 and 14h00. A Fira well worth a visit. 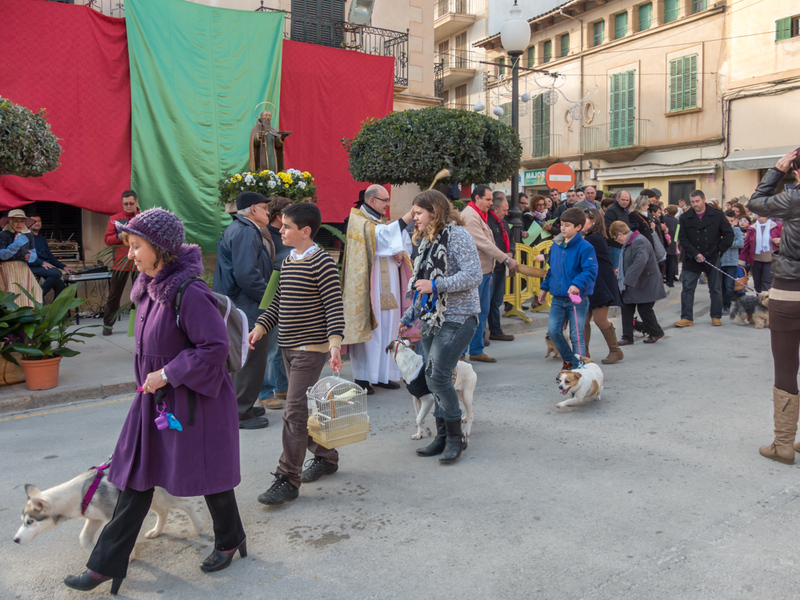 One of the loveliest and most touching affairs of January in Mallorca has to be the annual animal blessing. 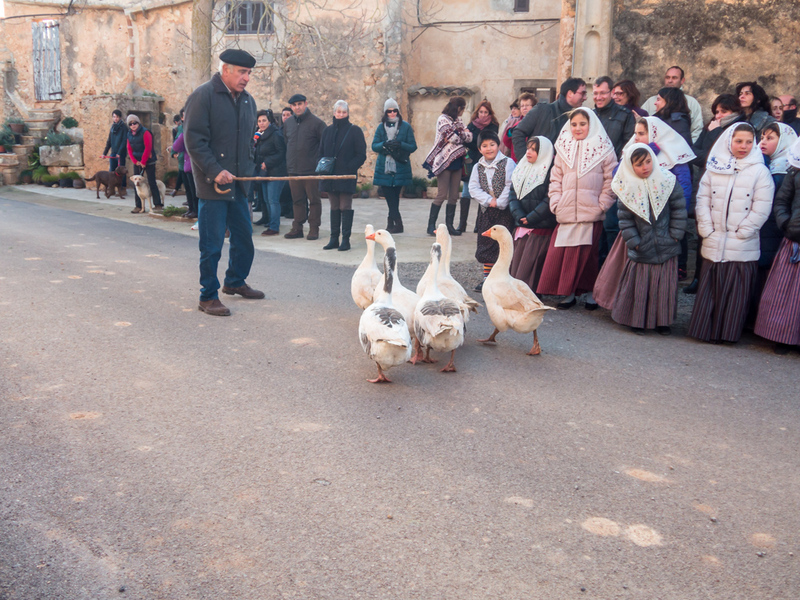 The beneïdes (blessing of the animals) is related to the festivities of Sant Antoni and is usually carried out on the day of the patron saint of farm animals, January 17th, or the following Saturday or Sunday. 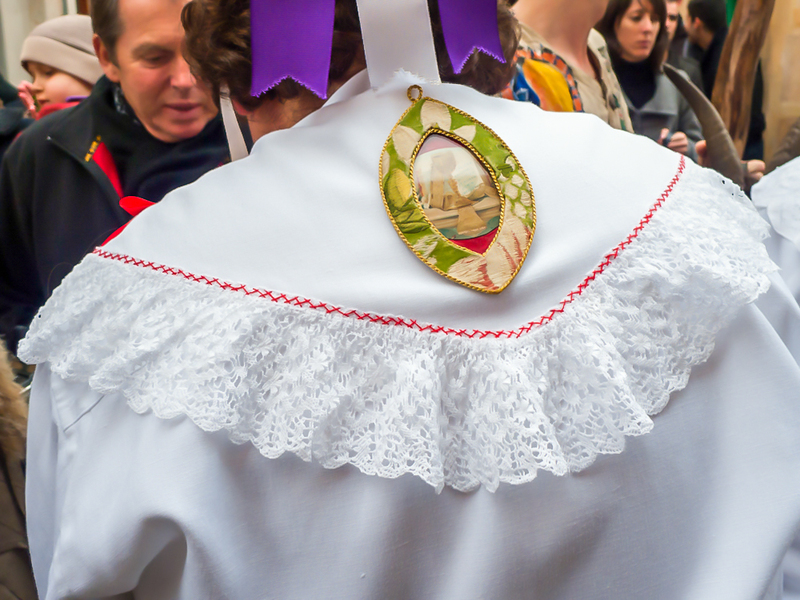 Of course, there may be the case when more than one pueblo (village) belong to the same parish: in this case the beneïdes celebration will be spread over the course of one week or even, a fortnight. You may see horses and sheep, donkeys and goats, dogs and cats, chicken and geese, pigs and other farm animals being paraded in front of the village priest but budgies, snakes, eagles, iguanas, rats, rabbits, turtles and goldfish may also be proudly presented here and there. It may not be too late yet to see a beneïdes affair somewhere near you. You may want to ask your local butcher or baker or candlestick maker if you can find one; they will be pleased to help you and direct you in the appropriate direction, perhaps somewhere with a do this coming weekend. Good luck. 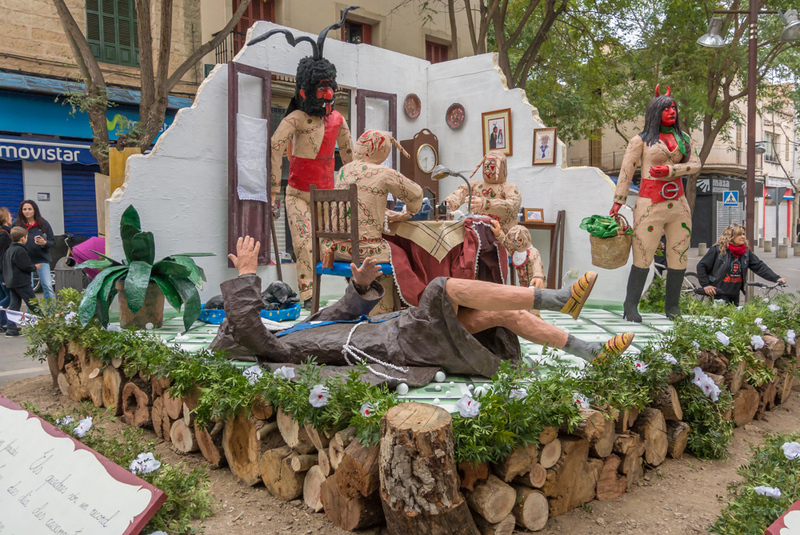 Mallorca had its big day a few days ago celebrating the beneïdes (animal blessings) on the occasion of the annual Sant Antoni festivities. 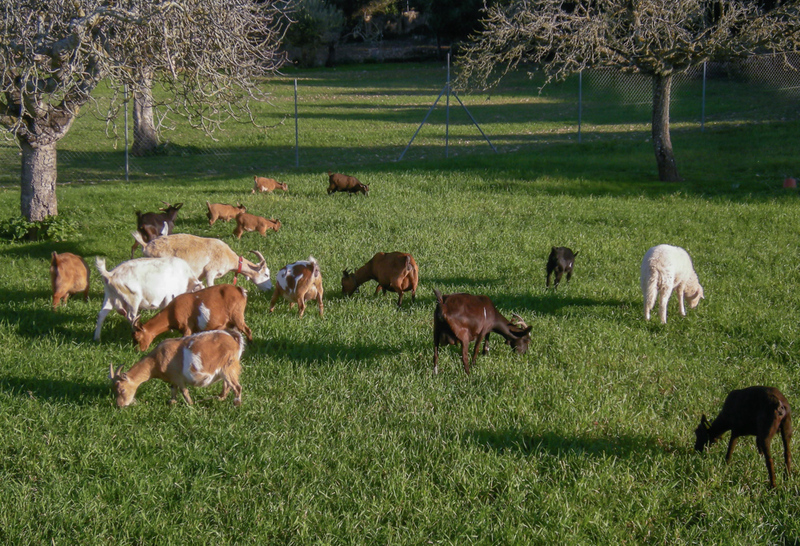 Sant Antoni is revered as the patron saint of farm animals, and horses, sheep, goats, geese, dogs and cats are paraded past the parish priest to be blessed by him. I have even seen eagles, snakes, budgies, rats, iguanas and what have you being presented for a benediction. But there is more to this saint, probably the most popular and most worshiped saint of all saints here in Mallorca. 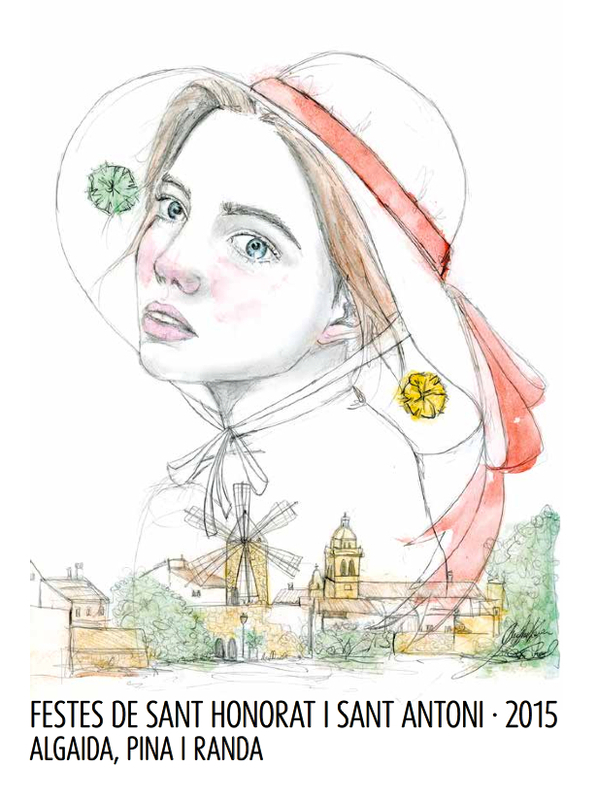 Sant Antoni is celebrated with foguerons (bonfires), correfocs (fire runs), focs artificials (firework displays), torrades (barbecues) and revetlles (open air music displays). Demons and devils will be burnt at the stake after having chased the saint round the pueblo enticing him with various temptations. Farmers and school classes put on elaborate displays on carriages, parading through towns and villages, eager as ever to catch everyone’s eye and possibly earn one of the pageant trophies which are on offer year after year for the best presentation and the prize money going with the accolade. 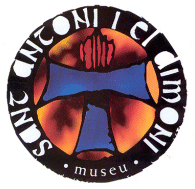 Sant Antoni is particularly loved in Sa Pobla, a farming village in the centre of the island where there is even a museum in his name and honour, the Museu de Sant Antoni i el Dimoni. Entrance to the museum is free. Opening hours are from 10h00 to 14h00 and from 16h00 to 20h00, Tuesday to Saturday, as well as Sunday mornings. Every village and town in Mallorca has their local patron saint; some even have two for good measure. The festive saint’s day is always observed as a local holiday and tomorrow, January 16th, it will be Algaïda’s turn to celebrate Sant Honorat, their only patron saint. 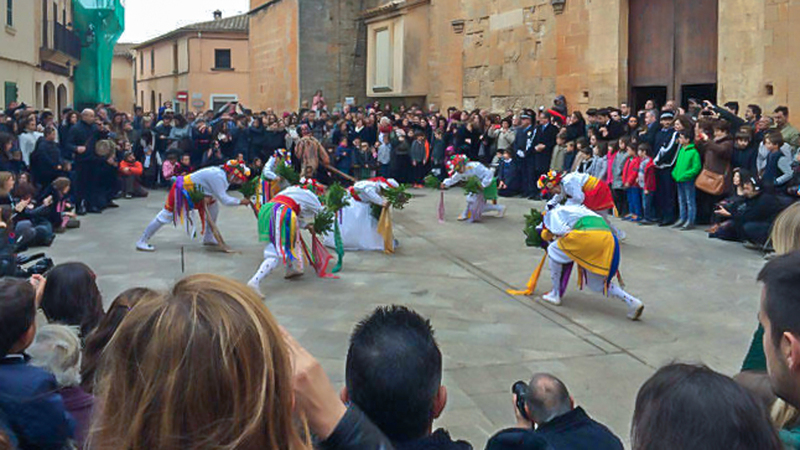 Algaïda is one of only a handful of pueblos maintaining the tradition of a local dance group called cossiers as they also exist in Alaró, Campos, Inca, Manacor, Muntuïri and Pollença. A similar tradition exists in Felanitx where the group is called cavallets. In Algaïda, the saint is symbolized by the Myrtus communis, the Common myrtle which is ascribed to own medicinal properties to cure sinus infections. A place of worship is permanently dedicated to Sant Honorat on the nearby mountain of Puig de Randa, the Ermita de Sant Honorat. The village community will congregate there next Sunday to celebrate a Mass in honour of the saint. 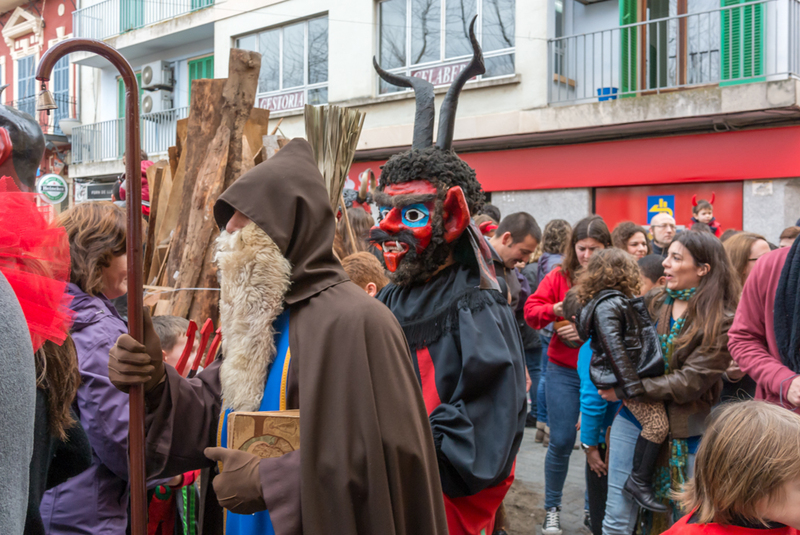 There will also be foguerons (bonfires), torradas (communal toasting) and a correfoc (fire run) to celebrate the festivities. Check here for the full programme of activities which also cover the pueblos of Randa and Pina. 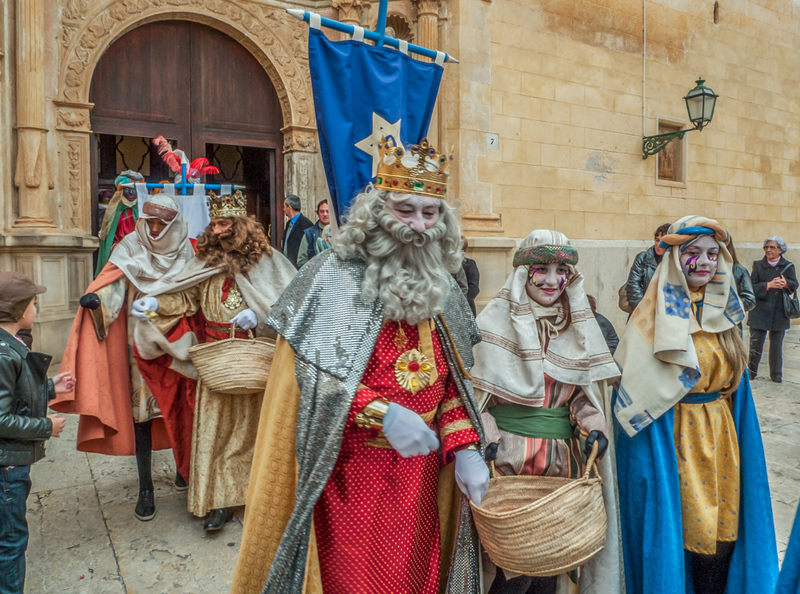 One of the highlights of the festive calendar in Mallorca is the arrival of the Reis d’Orient (Three Kings): Melcior, Gaspar and Baltasar, on January 6th. 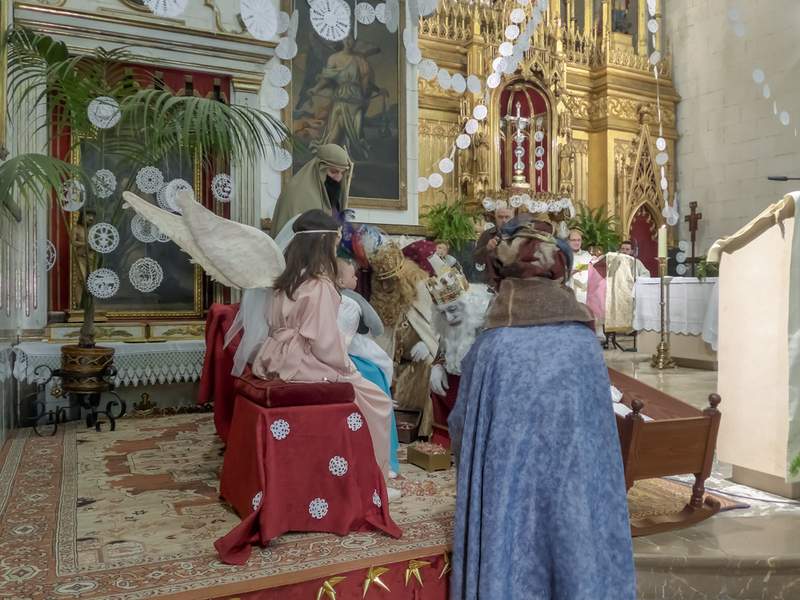 This is the date when Mallorca’s children (and grown ups) receive their Christmas presents. The Kings arrive from the Orient the night before, on January 5th, sometimes by boat, often on horseback, occasionally on motorcycle, but always with great fanfare in a ceremony of splendor and opulence. 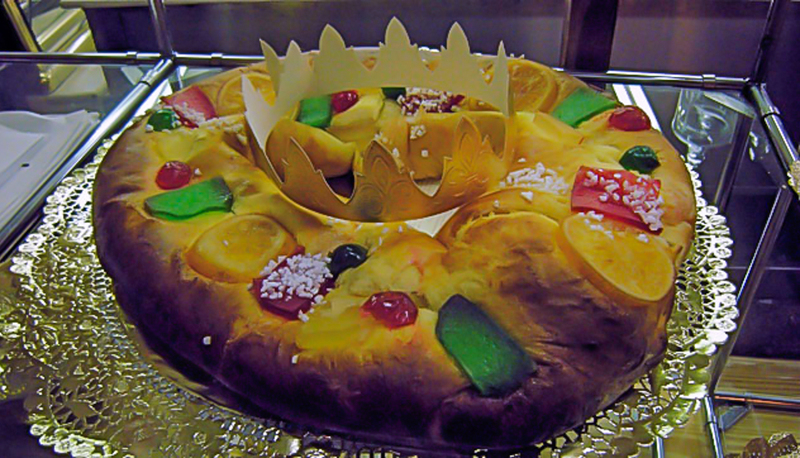 One indispensable part of the festivities is the traditional Roscó de reis. One can safely assume that there is not a single family in Spain which doesn’t buy one of those elaborate circular pastries for Three Kings, or baked one at home as the case may be. In times gone by, a small gem would be hidden inside the Roscó de reis for the children, a sweet perhaps, a small toy or a Peseta coin. There are simpler versions of the Roscó and there are variants with fillings. Such fillings might be made of crema or nata or cabell d’angel, to name but a few. The possibilities are quite unlimited. Allow me to take you on a journey through the highs and lows, the ups and downs, the ins and outs of the Mallorcan calendar from Cap d’any on January 1st to Nit de cap d’any on New Year’s Eve (December 31st), in Palma de Mallorca also celebrated as the Festa de l’Estendard. On this journey, one can encounter many festivities, rituals, traditions and customs relevant to the island and important to its inhabitants. I will try to explain some of these as well as I can, from Sant Antoni and the foguerons (bonfires) in January to Santa Cecilia and music in December. You may have come across one or the other of my various Mallorca blogs (Mallorca Photo Blog, Mallorca Observed, Postcards from the real Mallorca, trueMALLORCA et al.) and you may wonder why I felt the need to start yet another blog venture (you sound just like my wife). I can only say that I felt like doing it; I suppose there was nothing like it on the Internet and it would be nice if somebody would explain things to us as they happen in Mallorca. January is the month when oranges are at their best here in Mallorca. This month, we are reminded that the past of the island was shaped by the needs of the land and the manifold benefits of agricultural resources, an interrelation that is more and more pushed to the background at a time when only the benefits of tourism seem to matter to one and all. Let’s see where this year is heading and where our journey might take us. Unauthorized use and/or duplication of this material without express and written permission from this blog’s author and/or owner is strictly prohibited. Excerpts and links may be used, provided that full and clear credit is given to November Press and A Year in Mallorca with appropriate and specific direction to the original content.